The Fundraising Collective: Why do you get no respect at your nonprofit job? Why do you get no respect at your nonprofit job? 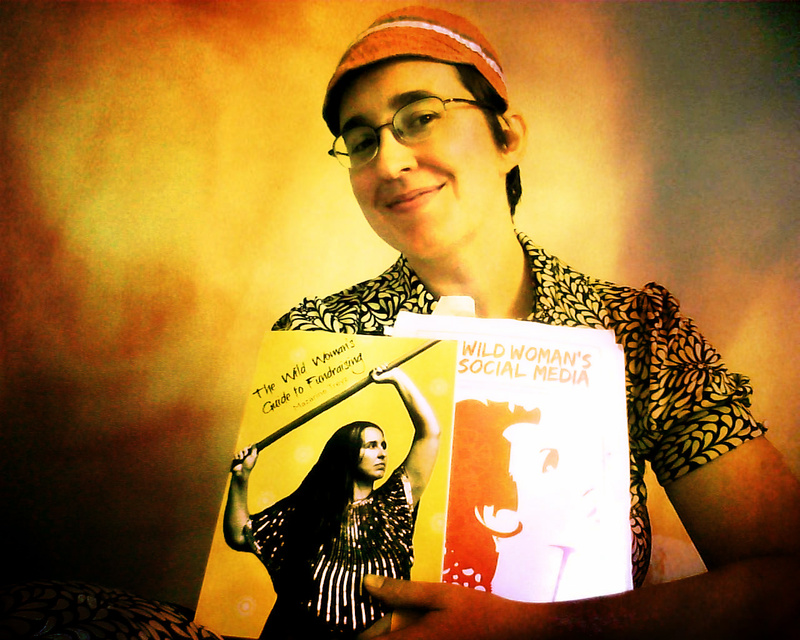 Welcome to Guest Collectivist Mazarine Treyz, Author, The Wild Woman's Guide to Fundraising Follow Mazarine @wildwomanfund on twitter. Can we talk for a minute about how to demand respect in your fundraising office? You've got the title of development coordinator, but you're the sole development staff person. Or maybe you're part of a team of two. Despite your title, you're doing it all. You're doing donor communications, like appeal letters, annual reports, etc. You're doing grants. You're doing events. You're doing a heck of a job, but getting yelled at by your boss every other week. Cream on the top? You haven't gotten a raise in two years, while your boss has laid off staff and given himself a raise. And infinite vacation days. And you have to use up yours by the end of the fiscal year. So there's a bind here. There's disrespect when it comes to salary, and there's disrespect when it comes to day to day treatment. Let's deal with the daily disrespect first. Yelling at you? NOT. COOL. Get some context. We're not here to rag on your boss. What's the larger societal structure that enables this sad situation? It's called rankism. Rankism is workplace abuse and can cover all of the other -isms, such as sexism, racism, and classism in the workplace, to name a few. How do you know if you're a victim of rankism? Believe in what you feel. You may feel anxious, pushed down, maybe your stomach hurts, maybe your afraid, unable to enjoy things you used to like, angry and unable to function at work. This rankism can come from a co-worker, a subordinate, or a person higher up in your organisation. According to WBI-Zogby U.S. Workplace Bullying Survey, 54 million Americans are bullied each year, resulting in massive turnover and cost to employers. So why should you learn how to demand respect? It's NOT THAT Bad is it? No, it's worse. When I was working at a certain nonprofit, not only did a board member sexually harass me and nothing was ever done, my boss yelled at me all the time for NO reason. My boss yelled at other people, never approved budgets, never fundraised, was rarely in the office, threw out reports I gave him to update him on what I was doing, since he missed every single scheduled meeting we had, and he was found stealing, TWICE from the nonprofit, the second time for $44,000. If you don't have good boundaries and learn what's going on in your workplace, it can REALLY make your life miserable. I want to save you from the pain I endured at this nonprofit job. We're going to look at the different types of rankists in the workplace, somebody rankists and nobody rankists. Gangster – use others-often without their knowledge-to keep dissenters in line or push them out. Everyone gangs up on one person, deciding they are the problem. Then, when they are fired, another person becomes the problem. Fabricator -feigning a legitimate position, they lie and steal in large and small ways. Snubber -ignore those they consider to be lesser than they are. Retaliator -Slams back in the same way in which they were assaulted. Dog-kicker -Strikes at someone more vulnerable rather than at the original rankist. Flatterer -Compliments somebody rankists to keep in good standing. Avenger- Executes a secret plan to get back at rankists without the Avenger being recognized. Gossip – Spreads stories to undermine the somebody rankist. Placater – Always gives, hoping everyone will get along. Noble Sufferer -Would rather be seen enduring the pain of the rankists than acting to change the situation. Onlooker – Does not leave the environment, but does not partake of activities. So, do you recognise yourself in this list? Do you recognise your boss? Your co-workers? Now that you've got some context, just think about this. We've all been a somebody and a nobody rankist at some point. Which ranks are okay to pull? Persuader and Activist. You can persuade people to notice what is going on. And act as activist to draw it to the attention of others in your nonprofit office. When you can name it, you can claim it. Do you feel relieved other people have had the same experience you have? And here's 18 ways to demand dignity at your charity. Now, what about your salary? How can you get more money? This one is tricky. When they call you development coordinator or officer or manager, even though you're doing everything a development director would do, then they see you stuck in that role, and probably will not want to give you the title of director. So to get a higher salary, you will need to make a lateral move, aka jump to a new job. If you want some tips on how to do this, head on over to http://WildWomanFundraising.com, where I have TONS of resources on how to find a job, as well as good interview questions for you to ask, and what you'll probably be asked, and MORE. Aw. Yeah. Thank you to The Fundraising Collective for this opportunity to post on your blog! Very interesting analysis of nonprofit organizational cultures and their flaws. We offer nonprofit staff advice on how to promote their organizations more efficiently and raise more money for their causes at http://fundlio.com/blog/, and we were considering writing about internal issues as well at some point. Your post provided us with new ideas on how to serve our audiences, thanks! Digital Fundraising - are you ready?